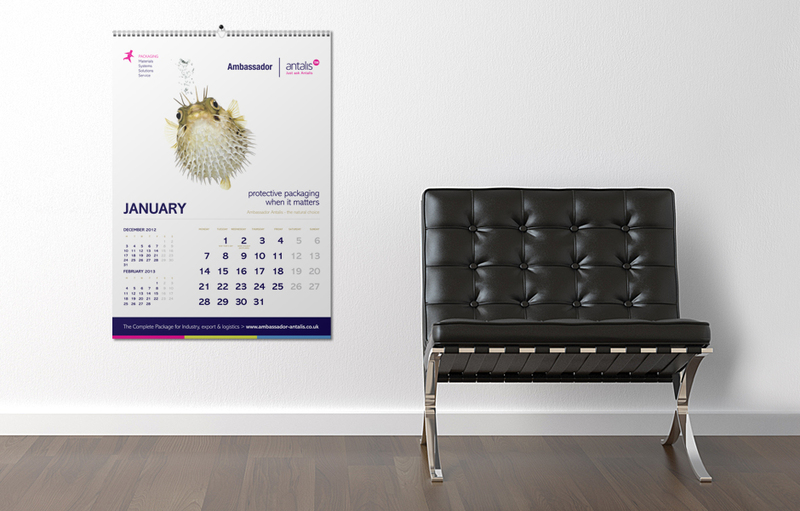 Division Design have designed and produced the new 2013 calendar for packaging company ‘Ambassador Antalis’. Division created the theme ‘the natural choice’ featuring a series of images demonstrating the best of ‘packaging in nature’. The 12 calendar leaves feature a puffer fish, hedgehog, shells and peas in a pod, all examples of beautifully designed natural packaging. The calendar was produced in A2 ‘wall calendar’ and A5 ‘desk calendar’ formats.